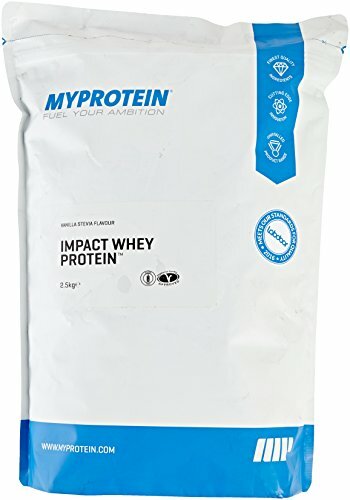 We have all heard of MyProtein and many of us also know that they have quickly gained a reputation for their affordable and high quality supplements. My Protein Impact Whey is one of their most popular products and it comes with some very good feedback in customer reviews. Due to its popularity they have being constantly adding new flavours to their range and at the time of writing there are a staggering 53 flavours to choose from. The problem for most people when buying is finding the best Myprotein flavour. In this guide to the best of their flavours we will be sharing our thoughts as well as those of previous buyers, to help you find the right ones for you. Furthermore, we will also be including the ones to avoid. With 53 flavours to choose from there will obviously be a good number of very tasty ones for most people. The problem most people suffer from when buying protein is that they find that one particular flavour that they like and stick with it. If MyProtein is a brand you haven’t tried before, i would suggest trying one of whey proteins staple flavours which are Chocolate, Strawberry, Banana and Vanilla. The thing i have found when trying a different brand out is that if i don’t like their staples flavours, then their more exotic ones are rarely to my taste either. 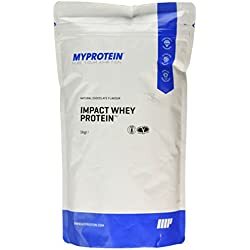 There are many people who choose to go for an unflavored whey protein. Some just like the flavour or rather lack of it where as others like to add their own flavoring using peanut butter or honey for example. 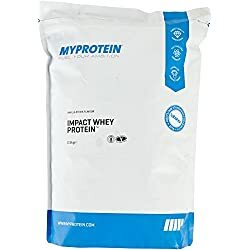 If you are not particularly a fan of unflavoured protein it is still worth checking out what others think about a particular brands version. 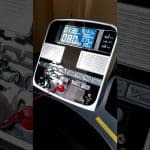 You will find that people who opt for an unflavored protein tend to go for the brand with the best mixability and this is always handy to know. 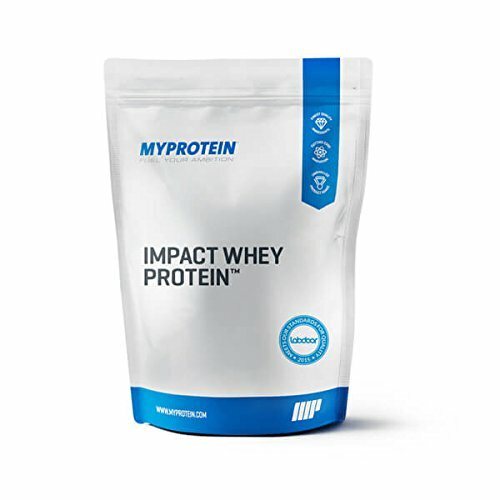 Myprotein unflavoured protein mixes well with both water and milk and becomes smooth in texture after a good shake. It comes with a good profile of 21g of protein 4.5g of BCA’s and 2g of Leucine per serving. 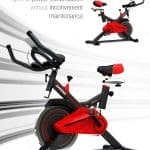 With five stars on Amazon and very positive customer feedback previous buyers seem to be happy with the unflavoured choice. Consequently, this is a good sign as this is the base of the flavored varieties. As most of you probably already know the four main flavours of protein are Strawberry, Banana, Chocolate and Vanilla. These flavours have been around forever and if a whey protein brand gets these wrong you can be pretty sure that their other flavours won’t be much better. We have to say Myprotein have managed to get the traditional flavours spot on and they are just as good as any other brand we have tried. In terms of customer feedback, reviews are positive and all of the four main flavours come with four stars or more on Amazon. If unflavoured is a step too far and you aren’t a fan of more adventurous flavours then one of the main four should be perfect. If chocolate is your flavour of choice then you will be glad to know that there are fourteen different flavours of chocolate whey protein in the Myprotein range. If you are interested in knowing them all they are as follows. With such a wide variety of chocolate flavours to choose from you are literally spoilt for choice. Out of the fourteen chocolate varieties the standout ones are the Chocolate Brownie, Chocolate Caramel and Chocolate Smooth. The Brownie is quite thick in texture but mixes very well and it tastes more like a dessert than a protein shake. The Caramel is a particular favourite of many and it has excellent feedback, it is a little bit sweeter than most of the other chocolate flavours but the caramel taste is to most people’s liking. Finally the Chocolate Smooth is exactly that, it mixes to a super smooth consistency with both water or milk. These three flavours seem to be the most popular choices in the chocolate range of flavours and are worth checking out. 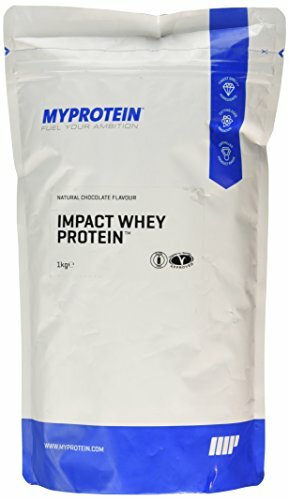 The flavours where Myprotein don’t seem to have done quite as good with their choices of ingredients are the Chocolate Peanut Butter and Chocolate Nut. For the peanut butter and nut varieties previous buyers don’t seem to be too happy with the nutty flavouring, they say that the chocolate flavouring is spot on, but the Peanut Butter and Chocolate Nut isn’t quite what they expected. This is a common problem that we hear about repeatedly from previous buyers for most protein brands that have flavours containing nuts. It seems its hard to manufacture a protein powder containing nuts that has the flavour buyers expect. Aside from the ones we have just mentioned the rest of the chocolate range of flavours varies from good to very good. If you are looking for a safe bet i would recommend the Chocolate Caramel. At the time of writing there are six stevia flavours to choose from, these are Stevia Chocolate, Stevia Chocolate Mint, Stevia Strawberry, Stevia Banana, Stevia Vanilla, Stevia Blueberry and Raspberry. For those that don’t know what Stevia is let me explain, Stevia is a natural sweetener derived from the leafs of the Stevia Rebaudiana bush/plant. The main benefit to it is the fact it has no calories and it is considered healthier than sugar. 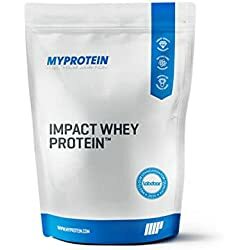 With regards to taste the Myprotein stevia range the stevia taste is highly noticeable and in our opinion it takes a lot away from the added flavour. If stevia is your choice of protein then you are probably used to the weaker flavour. For those that aren’t quite used to it you can always add less water or milk to the mix for a more concentrated taste. Overall the stevia flavours are not the best in our opinion and most of them taste very artificial. Are you feeling fruity? If you are then you will be interested to know that a handful of the fruit range come with good reviews from previous buyers. We have already covered the Banana in the main four flavours so we will jump straight in to the blueberry. This one in our opinion and those of previous buyers is not the best, along with the Pineapple and Summer Fruits they taste artificial in flavour, however, they do mix well with either water or milk. The Orange Cream and the raspberry are both decent enough with a more natural fruity flavour. The standout flavours are the Strawberry and Cream and the Vanilla and Raspberry. The Vanilla and Raspberry is a good twist on the original Vanilla and these flavours work well together. There are four flavours in the natural range and these funnily enough are the same as the main four flavours which are Strawberry, Banana, Chocolate and Vanilla. So, what makes them different from the traditional main four? 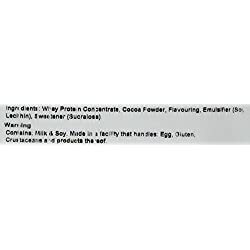 From the use of the word natural you would assume the ingredients are different, however, the ingredients in the ordinary Chocolate and the Natural Chocolate both say cocoa powder. This is something we haven’t managed to get to the bottom of. With regards to taste these four are all up to standard and we found no complaints with regards to mixability and smoothness. We all love a good brew and whether its tea, coffee or something more continental that you like Myprotein have a shake for you. At the time of writing there are four flavours in this category these are listed below. Customer feedback varies greatly on these four flavours with some saying how dreadful they are and with others saying how they taste like the real thing but cold. The jury is out on these four flavours, the only one we have tried is the Coffee Caramel and it definitely wasn’t to any of our tasting. What we will say is that if you already like the taste of a mocha or latte then these flavours will in most cases be to people’s taste. The remaining flavours are quite random and they don’t particularly fall into a category, A good amount of them are really tasty and definitely worth a try. On the other hand a few should be avoided such as the Golden Syrup and the Toffee which both have a good number of negative reviews. If i had to recommend only one it would be the Cookies and Cream due to the creamy texture and taste and the mild chocolate taste. 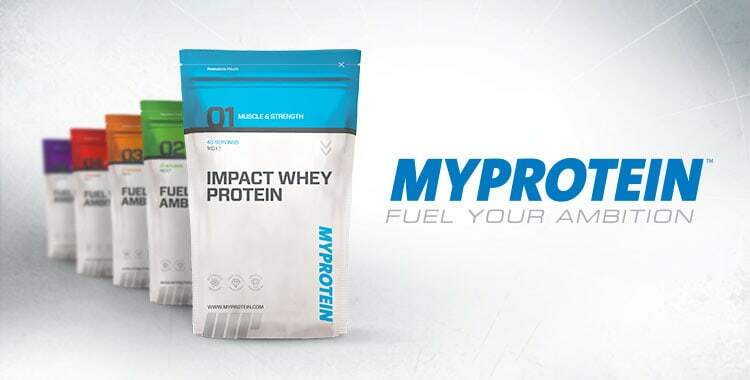 With 53 flavours to choose from finding the best Myprotein flavor can be quite a task. In this article we have highlighted the most popular flavours with the best customer reviews in hope of saving you time and money when buying. Customer reviews are generally a very good indicator of how good a product actually is.